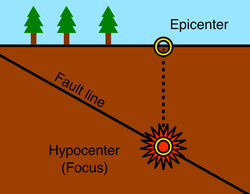 The 1880 earthquake which struck Zagreb , and is also known as The Great Zagreb earthquake , occurred with a moment magnitude of 6.3 on 9 November. Its epicenter was in the Medvednica mountain north of Zagreb. Although only one person was killed in the earthquake, it destroyed or damaged many buildings. According to the Zagreb Meteorological Station data, the earthquake struck at 07:33, and was followed by a series of tremors of smaller intensity. Contemporary records say that 3,800 outgoing tickets were sold at the Zagreb Main Station within the first 24 hours of the initial earthquake, as many locals sought to leave the city for Vienna, Ljubljana, Graz, and other Austro-Hungarian cities in the vicinity of Zagreb. City authorities formed a commission to assess the damage, and their official report said that a total of 1,758 buildings were affected (not counting churches and state-owned buildings), out of which 485 were heavily damaged. The most prominent building damaged was the Zagreb Cathedral , which then underwent a thorough reconstruction led by Hermann Bollé and which went on for 26 years before it was finally finished in 1906. However, the damage brought by the earthquake spurred construction and many historic buildings in the Lower Town area of the city were built in the following years. All information for 1880 Zagreb earthquake's wiki comes from the below links. Any source is valid, including Twitter, Facebook, Instagram, and LinkedIn. Pictures, videos, biodata, and files relating to 1880 Zagreb earthquake are also acceptable encyclopedic sources. 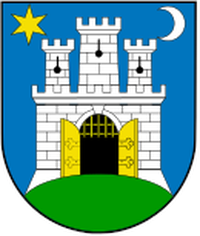 Other wiki pages related to 1880 Zagreb earthquake.